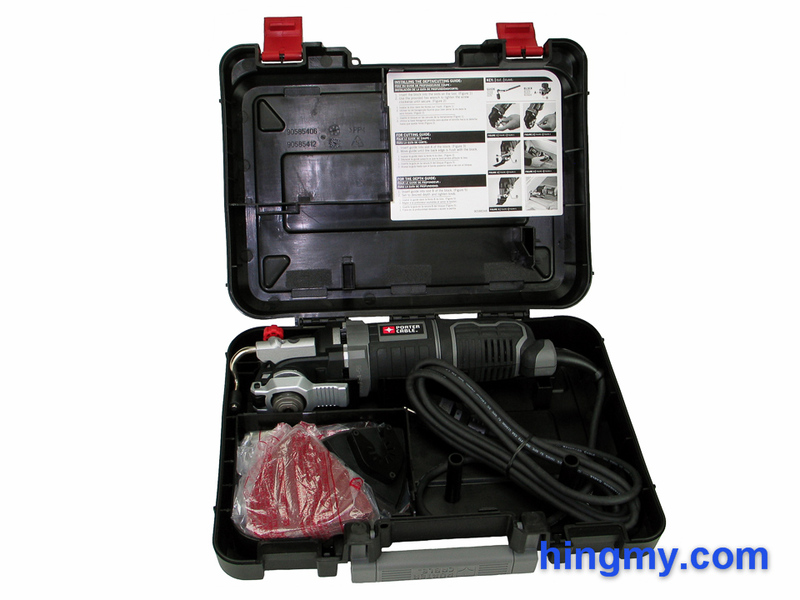 When searching the Hingmy oscillating tool datebase the Porter Cable PCE605 comes up as an attractive option. It has all the features the competition has, yet costs significantly less. Off course we had to find out what hides behind the specs. 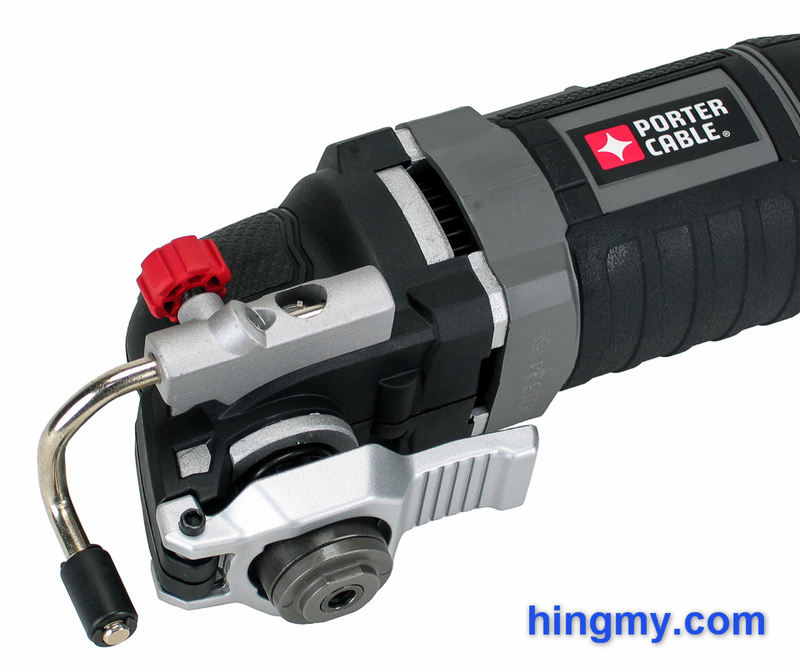 Let's take a look at how the Porter Cable PCE605 performed in our shop. 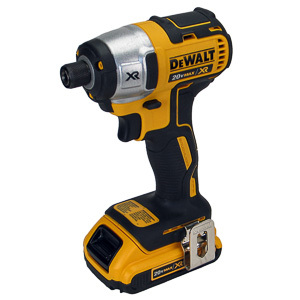 The PCE605 is a full-featured corded oscillating tool designed for home and professional use. The 3 amp motor and industry standard 2.8 degree cutting arc ensure good performance relative to the competition. The low price, keyless blade change, and cutting guide differentiate the PCE605 in an exceedingly crowded market. Fit&finish is up to professional standards. The hard plastic shell of the tool, metal gear box, and chuck form a single, cohesive unit. There are no rattles or lose parts anywhere on the tool. The 10ft power cord lies flat when uncoiled and has very little memory. 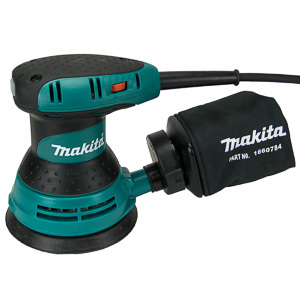 It is easy to coil for storage and does not become a hindrance when using the tool. Most of the PCE605's body is covered in black rubber to allow the tool to be held every which way the user likes. The diameter of the barrel varies very little throughout the entire length of the tool. Users with small hands will have trouble finding a comfortable grip. The PCE605 makes few allowances for non-standard users. A large red power switch on top of the body turns the tool on. The switch is recessed to avoid accidentally turning the tool off while it is in use. The switch locks into the ON position with a satisfying click that should be the model for other power switches. The PCE605 comes with a variable speed motor. 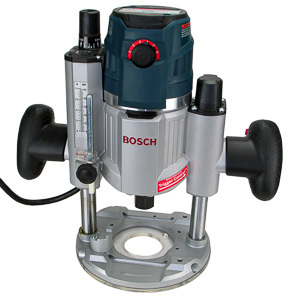 A dial in the rear of the tool varies the motor speed from 10,000 to 22,000 rpm in 12 steps. Each step is distinct from its neighbors and stable under load. Motor power decreases dramatically at lower speeds, but is still well matched with the intended use at a given speed setting. The PCE605 uses a very innovative keyless chuck to secure the blade on the actuator arm. A stiff spring closes the jaws of the chuck around the blade when the tool is in use. A lever pries the jaws apart for attachment changes. The jaws and mounting arm are made of metal and will endure on the job site. The plastic lever, on the other hand, is a bit weak for the exposed position it is mounted in. The lever is unlikely to break during use, but it will likely take damage when you drop the tool. Opening the chuck takes a considerable amount of finger strength. Weaker users will have to put the tool down on its back and use their body weight to open the chuck. This can be a bit inconvenient, but blade changes are still completed much faster than with the traditional Allen key chuck. The lever adds considerable bulk below the tool near the blade mount. In tight situations the lever can get in the way and prevent the tool from being used. The built-up nose the lever connect to reduces the cutting depth of the tool by about 1/2 inch compared to the competition. Fein's toolless blade change design places the lever on top of the tool where it does not get in the way. Porter Cable's approach still results in a very usable tool, but every now and then you'll have to change the way you work to accommodate the bulky lever. The most significant drawback of the system is not a functional, but an economical one. The chuck can only mount blades that have an open end. Traditional oscillating tool blades will not fit on the PCE605 and there is no adapter for them. This limits your attachment and blade choices to just a handful of manufacturers. The situation will improve over time, but for now PCE605 owners will have to contend with a limited choices and higher prices. 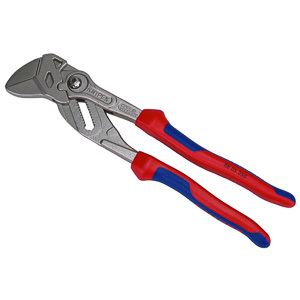 The PCE605 comes with a cutting guide attachment mounted on the tip of the tool. The guide uses a plastic roller mounted on a metal arm to limit the cutting depth of the tool relative to the surface being worked on. The guide is primarily intended to limit cutting depth, but can be used for other purposes. The engineering on the guide is nearly flawless. Every part of it, with the possible exception of the roller, is durable to the max. A set screw locks the guide into place in any position without the slightest possibility of movement. The metal mounting bracket ensures there is no movement anywhere else. The guide is without a doubt a useful feature that increases the versatility of the PCE605. You won't necessarily miss it on other multi-tools, but it has its place. If you don't like the guide, you can remove the entire mechanism by removing a single bolt with the Allen key included in the kit. The kit version of the PCE605 comes with a thin-walled plastic storage case. Tabs in the interior of the case secure the multi-tool for movement free transportation. 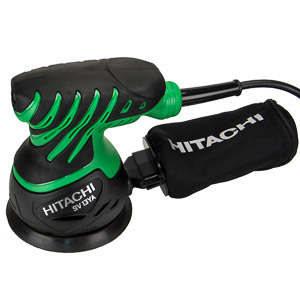 A separate compartment keeps the attachments away from the tool and the power cord. The case is technically not water proof, but will hold up well when left out in the rain for a while. Being square and flat on all sides allows the case to be stacked. The two red plastic latches used to close the case do a good job while they are new, but they also illustrate the somewhat flimsy nature of the case. There is nothing to complain about while the case is new, but it's not hard to imagine a common workplace mishap that would permanently damage the case. The blades included in this kit are nothing special. They last a good while, but that is not saying much considering blade life is very limited in the multi-tool market. Don't buy this kit expecting to get a good value out of the attachments. This kit includes all the parts needed for a hobbyist to get started. Professionals won't get around buying extra blades. As stated before, the availability and price of attachments with an open end is an issue. On a per cut basis the PCE605 is a full-featured oscillating tool and the close equivalent of tools that cost many times as much. 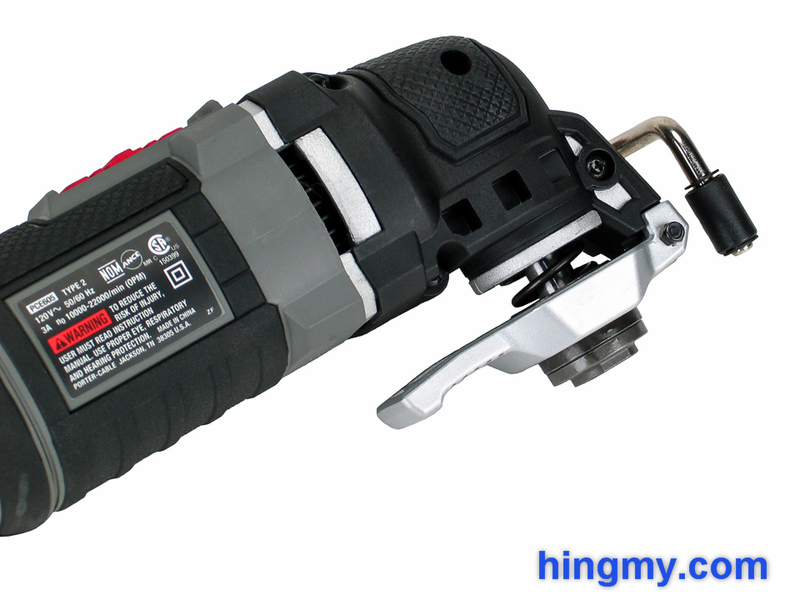 The 3 amp motor powers the blade through the work piece as fast as any other multi-tool can. A finish carpenter who relies on his or her multi-tool for only a few cuts will be well served by the PCE605. Balance during a cut is excellent short of the issues with the large grip detailed earlier. Vibration dampening is good, bordering on great. The body of the tool remains virtually motionless during a cut. At full seed the PCE605 is not a particular quiet tool. Hearing protection is mandatory. Under heavy use the immediate area around the fan ports of the PCE605 heats up considerably. The plastic grip further down becomes warm to the touch as the heat travels down the barrel of the tool. If the PCE605 is used to make a few cuts at a time, like a finish carpenter would, you will never encounter this issue. 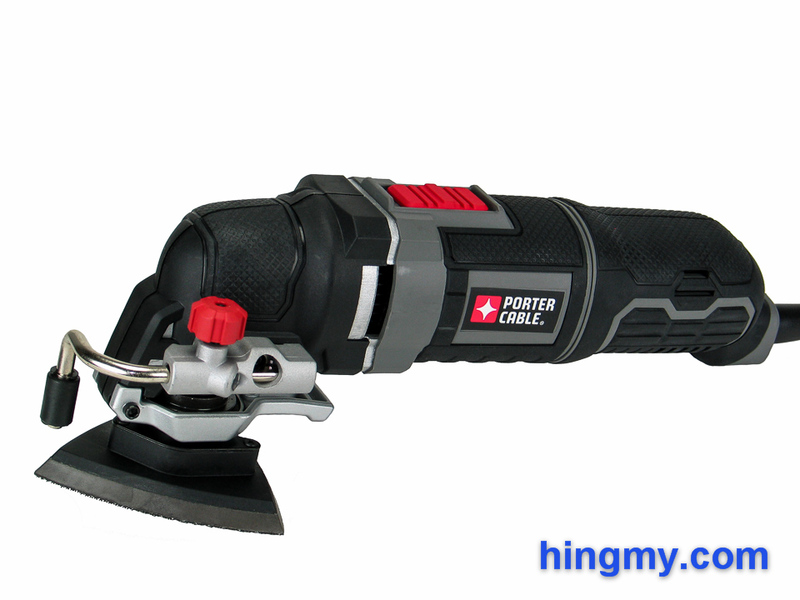 If you are using the PCE605 to remove the grout in a bathroom, you'll feel the tool heating up in your hand. In our test we ran the tool continuously for an hour. The heat issue was noticeable, but we never had to put the tool down and stop the work. Nevertheless we feel that this casts doubt over the PCE605's longevity in a high-duty cycle environment. If you run your multi-tool for the better part of the workday, the PCE605 is probably not the oscillating tool for you. 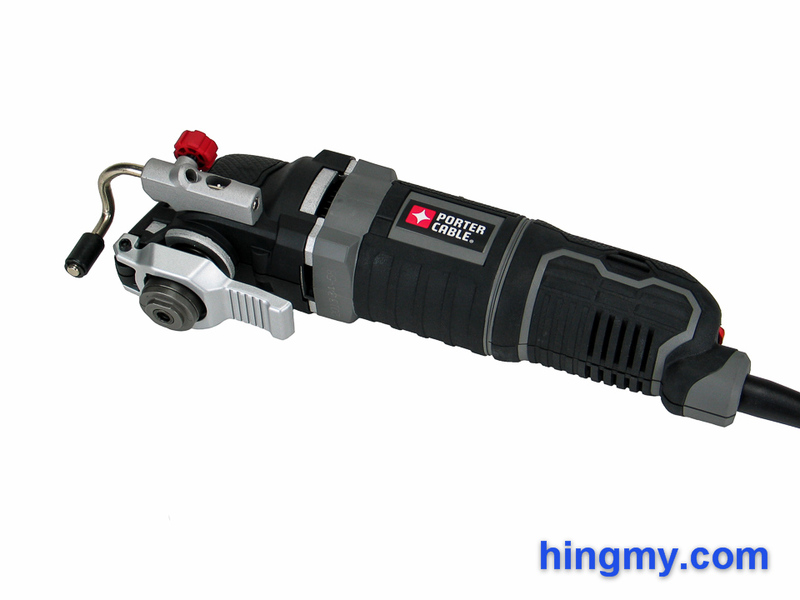 The Porter Cable PCE605 is a very capable oscillating tool. The 3 amp variable speed motor powers the tool to a performance level almost as good as that of tools that costs many times as much. On a per cut basis the PCE605 is a full-featured oscillating tool. The variable speed control, innovative blade mount, and blade guide increase the value of the package. 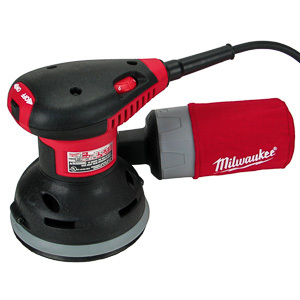 When used continuously the body of the PCE605 heats up casting doubt over the durability of the tool under heavy load. 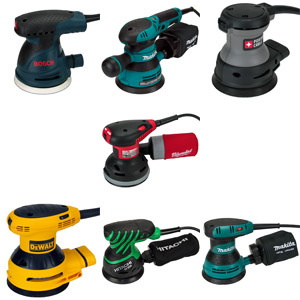 The limited availability and non-competitive pricing of blades compatible with the keyless chuck are in stark contrast to the tool's low price. Overall the PCE605 is an excellent oscillating tool for anyone who makes only a few cuts at a time. It'll perform as well as the competition at a much lower price. Finish carpenters in particular can save a lot going with Porter Cable. The PCE605 will only overheat in extreme situations. 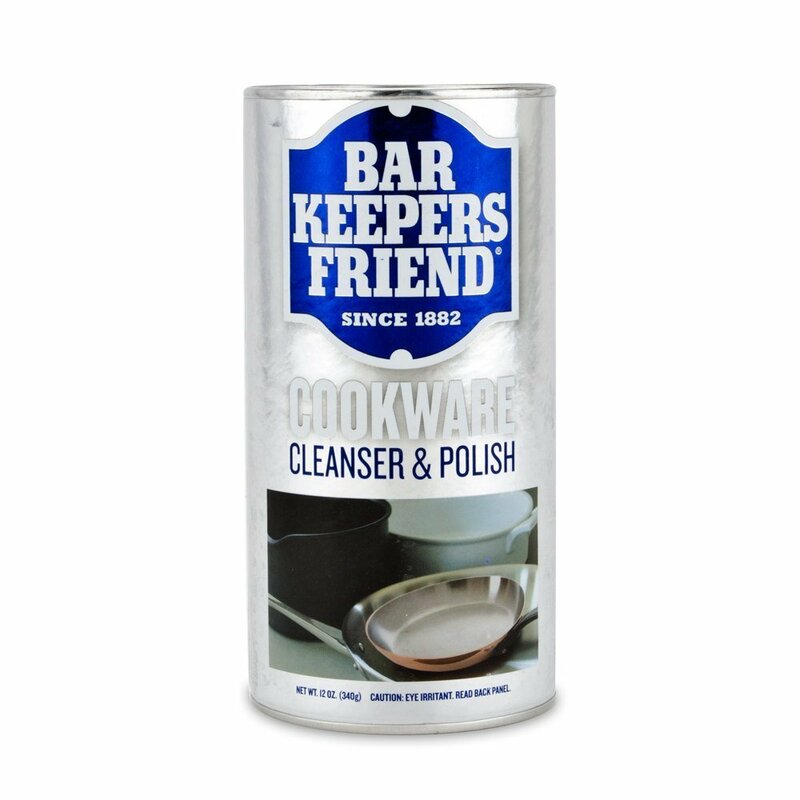 Removing the grout in a bathroom every once in a while is not a problem. Don't use PCE605 for high duty cycle work on a regular basis.